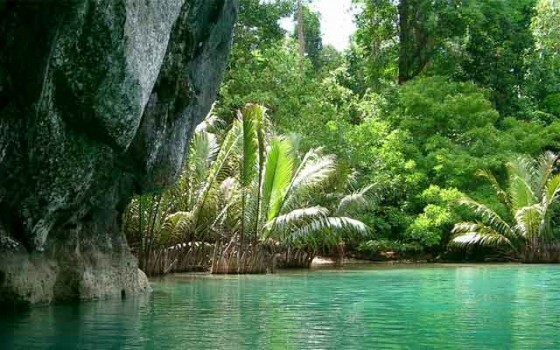 The Puerto Princesa Subterranean River National Park is located about 50 km north of the city of Puerto Princesa, Palawan, Philippines. Traffic into and out of Puerto Princesa Airport has increased so dramatically that public representatives in the island province of Palawan in the Philippines are calling for an urgent upgrade of the facility. Tourist arrivals have tripled due to the promotion of the Puerto Princesa Underground River (PPUR) in the New7Wonders of Nature campaign, according to an article in the Manila Bulletin.